Parental counseling to motivate the parent, accept and support the child and prepare the parents to face the challenges that arise with a special child. Training on Home Management helps the child in self help skills and behavior modification. Physiotherapy & Occupational Therapy will be provided to Cerebral Palsy Children and Autistic children to improve their physical activity and make them strong and self-sustaining. Early Intervention with sensory rehabilitation is provided for DDMS (Delayed Developmental Milestones) Children to improve motor skills, speech development, cognitive skills, self care and social movement. Music Therapy is given particularly to the children with Autism & ADHD which will enhance their attention, concentration and sitting tolerance. This makes them feel happy, bring out children�s hidden skills and help them in learning and behavior modification. We train learning disabled children (normal school drop outs) having dyscalculia (Mathematics disability) and help them to clear 10th class through NIOS. We assess and understand learning disabled children and encourage them to learn vocational skills as per their physical and mental abilities. Basic Education is provided in Reading, Writing and Arithmetic to Slow Learners (Normal School Drop Outs). Conceptual Learning: Children are given concepts & tasks according to the occasion, so that they involve themselves, understand and learn the significance of the event by participating and enacting. We celebrate Ramadan, Krishnastami, Independence Day, Raksha Bandhan, Vinayaka Chaturdhi, Teacher's Day, Dussehra, Gandhi Jayanthi, Diwali, Children's Day, Christmas, New Year, Sankranthi, Republic Day and Ugadi. - Integrated School for Special Children, Hearing Impaired (HI) & Visually Impaired (VI), Orphans and Destitute. - CRT Unit (Comprehensive Rehabilitation Team) comprises Special Education, Physiotherapy, Occupational Therapy, Psychology, Speech Therapy and Hydrotherapy. - Vocational Training Centre includes sheltered workshops to create employment for special children, orphans and destitute. - College of Occupational Therapy PRABHATA SINDHURI plans to establish its centers district and mandal wise to reach and support Rural areas in Andhra Pradesh. - On 6th June 2016, we have conducted the Parents meet and discussed in length about the goals and home follow up. - On 21st June 2016, we have celebrated International Yoga Day at our premises. - On 7th July 2016 we have celebrated Ramadan festival. - On 3rd August 2016, we have celebrated FOUNDATION DAY and conducted cultural activities like singing and dance and children were joyous on that occasion. Small gifts and certificates were distributed to all the trainees as a token of remembrance. Dr Nagarjunarao Dialectologist and Sri Pitchi Reddy Advocate have attended the function. - In the month of August celebrated RAKSHA BHANDAN and KRISHNASTAMI festivals in the School. All the Rakhis were prepared by our vocational trainees with the little help of teachers. All the decoration materials were made by vocational trainees. - In the month of September we have celebrated Vinayaka Chavithi Festival. - On 8th Sep 2016, a program conducted by SAKSHAM along with Prabhata Sindhuri, and all the college students from Chaitanya and NRI Institutions were participated. Awareness creation identification of intellectually disabled children was explained. Special children participated in cultural events. - On 12th Sep 2016, we have conducted the Parents Meet at School premises and also celebrated Kum Sindhuri Birth day. - On 2nd Oct 2016 celebrated GANDHI JAYANTHI festival and conducted Fancy Dress show of all the National Leaders by our children. - On 1st Nov 2016 conducted pre Diwali celebrations safely. On 14th Nov 2016, we have celebrated CHILDRENS DAY festival and conducted Fancy Dress show displaying different kind of fruits and children very happy on that day. On 22nd Nov 2016, we have participated in Sports Meet District level and Collector, MLA and Ministers were attended the program. Our children secured 9 prizes in various events. - On 24th Nov 2016, we have conducted a Medical Camp for CP children screening and identifying the Early intervention cases with the support of SAKSHAM and Walk Foundation, Guntur. - On 28th Nov 2016, participated in State Cultural Meet conducted by Disable Welfare Department, Govt of Andhra Pradesh and our children got 2 prizes. - On 29th Nov 2016, participated in State level Sports Meet conducted by Disabled Welfare Department, Government of Andhra Pradesh and our student got 1 prize. - On 3rd Dec 2016, World Disable Day celebrations at our premises and all the children participated. Members from SANGAMITRA ITC, GUNTUR were present and presented gifts to children. Children were also participated in cultural events. - On 5th Dec 2016, our Founder Director attended AGM of the National Trust, New Delhi. - On 9th Dec and 10th Dec, our vocational trainees Rohit and Bhargav participated in SAFI, Parivaar at Bangalore. Rohit was elected as EC member of Safi. - On 21st Dec 2016, our student Kum Sindhuri has given a dance performance in any International conference at RV College of Engineering, Bangalore. - On 24th Dec 2016 conducted pre CHRISTAMAS celebrations. - From 27th Dec 2016 to 28th Dec 2016, NIEPMD and NIMH conducted a state level work shop and our special educators have attended the program. - From 10th Dec 2016 to 30th Dec 2016, all our vocational trainees have prepared Greeting cards. - On 30th Dec 2016, we have celebrated National Trust Foundation Day and all the children and parents participated in Sports and Cultural events. Conducted Rangoli competition for the parents and distributed plants to parents as a token of remembrance. - From 9th Jan to 11th Jan 2017, we have celebrated pre PONGAL festival and explained the importance of the festival and concepts involved like Bhogi Pallu, Bhogi Mantalu, Gobbillu and Rangoli. - From 4th Feb 2017 to 5th Feb, we have attended National Work Shop on Intellectual and Developmental Disabilities DHEEMAHI conducted by SAKSHAM. - On 19th Feb 2017, we have participated Divyangula Sammelanal District wise conducted by SAKSHAM. We have discussed the problems that are being faced by the parents and children and given the representation to SAKSHAM. - On 4th March 2017, we have participated in a work shop conducted by Acharya Ranga University in view of National Science Day. Prabhata Sindhuri involved in setting up a stall at the venue and all our TLM were displayed and explained to all the visitors. Children participated in cultural events and got the prizes. - On 21st Mar 2017, we have celebrated World Down Syndrome Day at School premises. - On 3rd April 2017, our Founder Director attended the National Conference on Autism conducted by National Trust. We have also celebrated the World Autism Day at School premises. Teachers meet the Management on every Saturday to discuss about the performance related issues, problems if any and achievements. 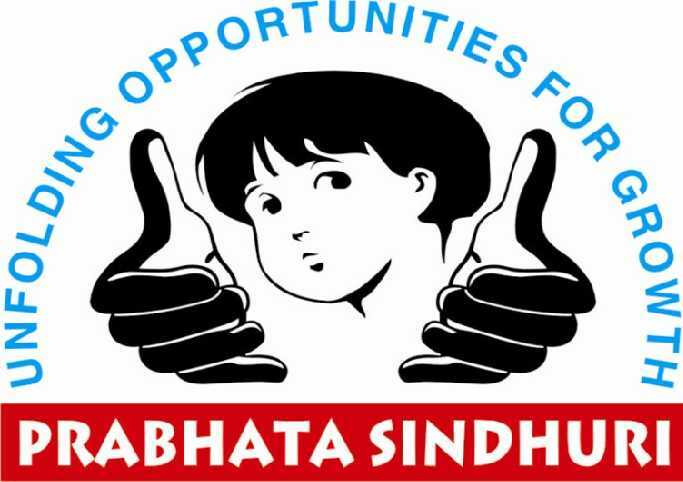 We at PRABHATA SINDHURI ensure the complete and overall development of every special child, leading to improved confidence and intelligence levels.